From 2012 Antti was the Japan Country Director of Rovio, the widely known Finnish game development company behind the Angry Birds' series. In 2014 Antti joined Japanese startup Beatrobo Inc. as the COO. 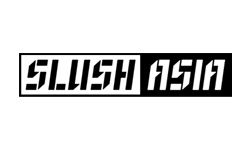 In 2015 as the CEO Antti launched SLUSH ASIA, one of the largest and the first major startup event in English in Japan with over 3000 people. Slush Asia gathered over 200 startups, 100 VCs, and over 300 volunteers. The event was featured in several TV programs and over 100 articles online. Slush Asia was built together with the original event organizers of Slush, an event that has revolutionized entrepreneurship in Finland.